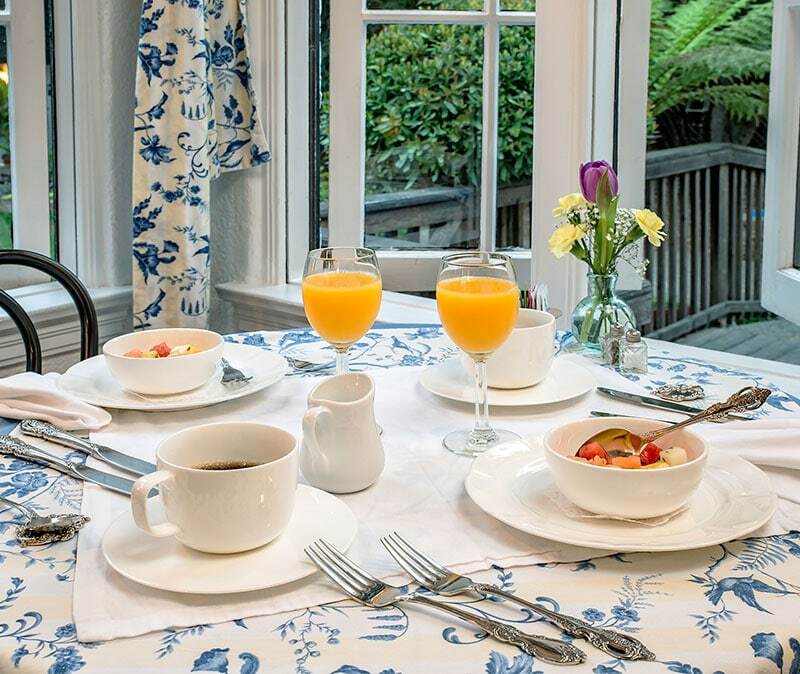 Breakfast is special at our Napa Valley Inn, and it starts right here in our beautiful first floor breakfast room, overlooking our backyard gardens and pool. 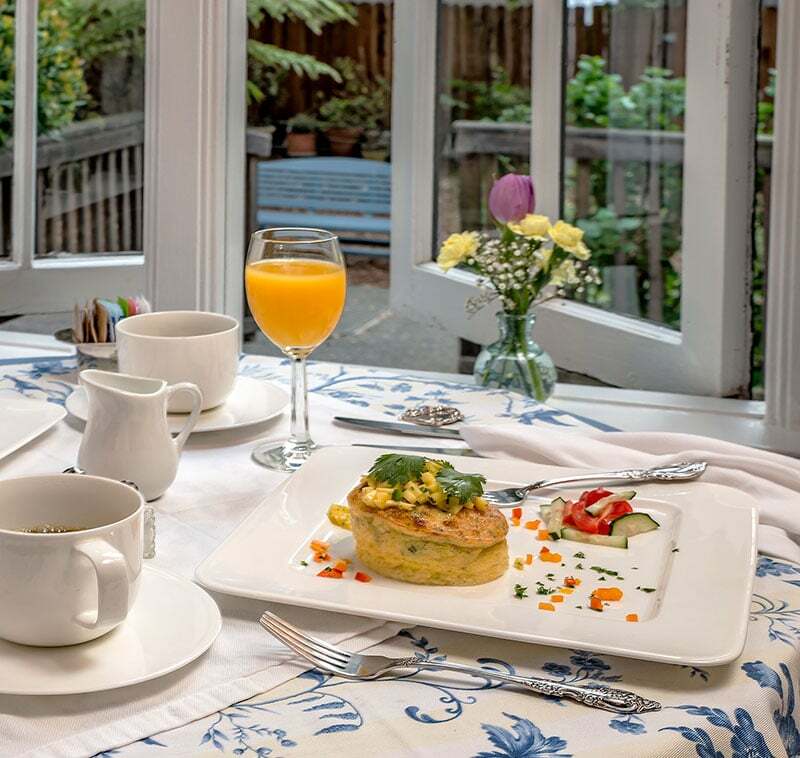 Each morning of your stay, you can expect a gourmet multi-course breakfast made from scratch, served from 8:30-9:30 am Monday-Friday, and 8:30-10:00 am on weekends. 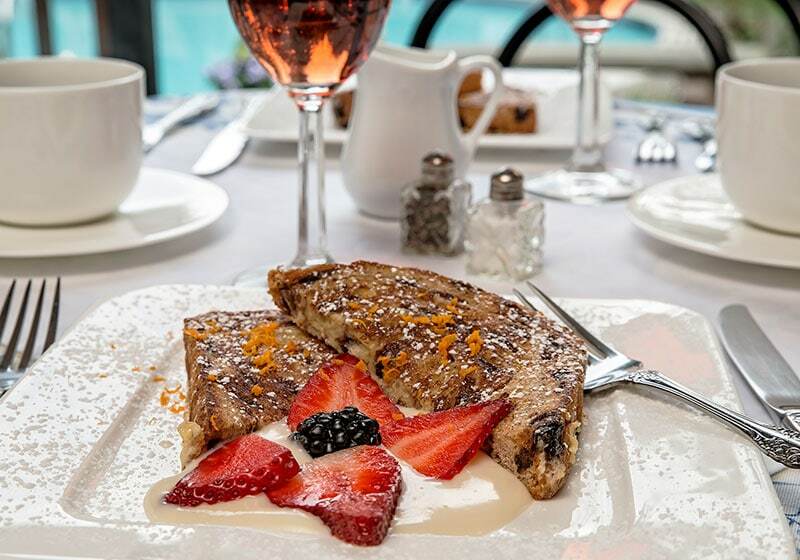 Our breakfast menu changes daily, but you can always expect it to feature the most delicious locally-sourced ingredients whenever possible. 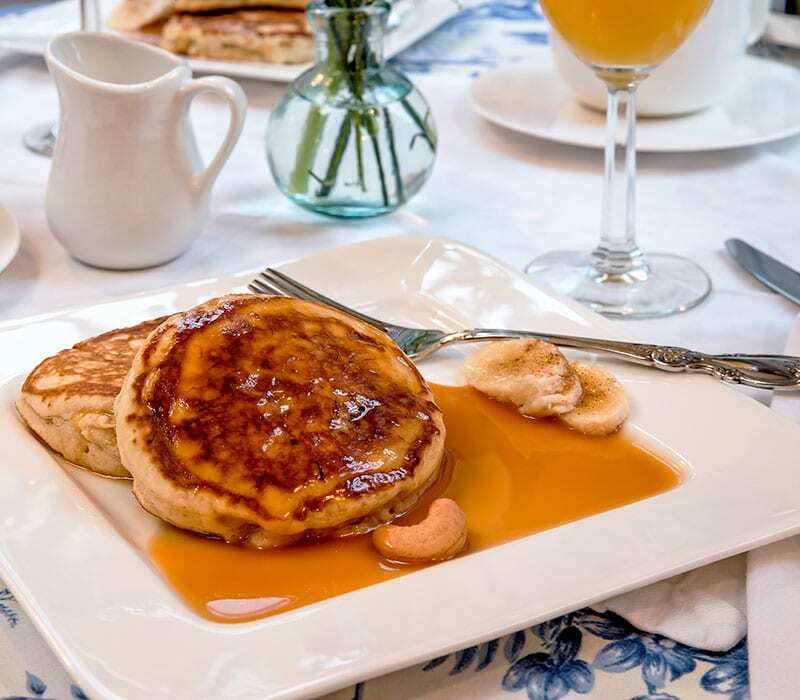 For example, you might start the morning off with a fresh fruit course, followed by a fresh bakery selection and an egg or other savory dish. 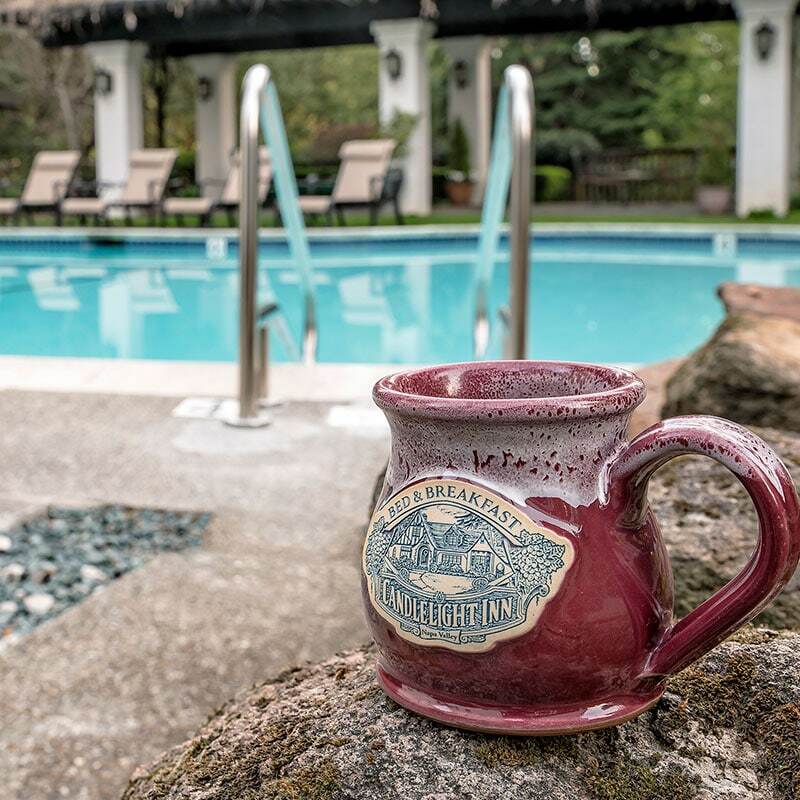 Coffee is served daily along with orange juice and a fine selection of teas.  We’ll do our best to accommodate dietary restrictions too, whether due to food allergies or diet plans and food preferences. 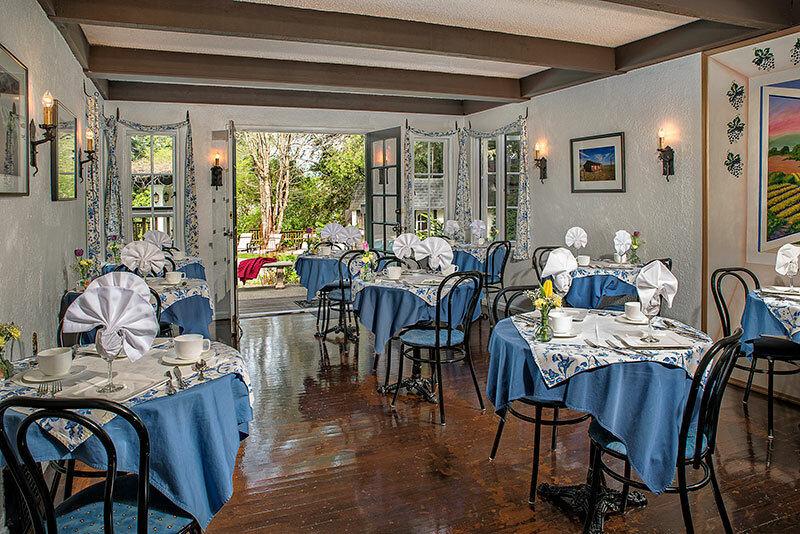 Please notify us upon arrival or at the time of reservation with any requests or concerns you may have. 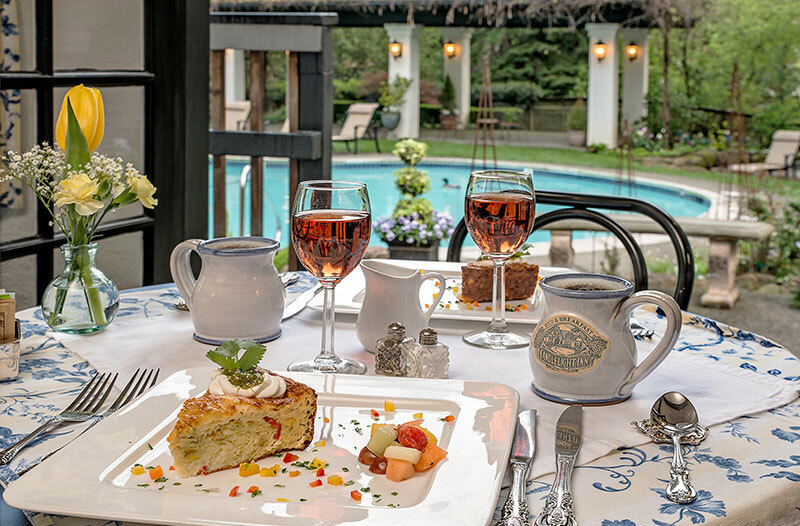 The Candlelight Inn is known for its delightful and inspired breakfasts. 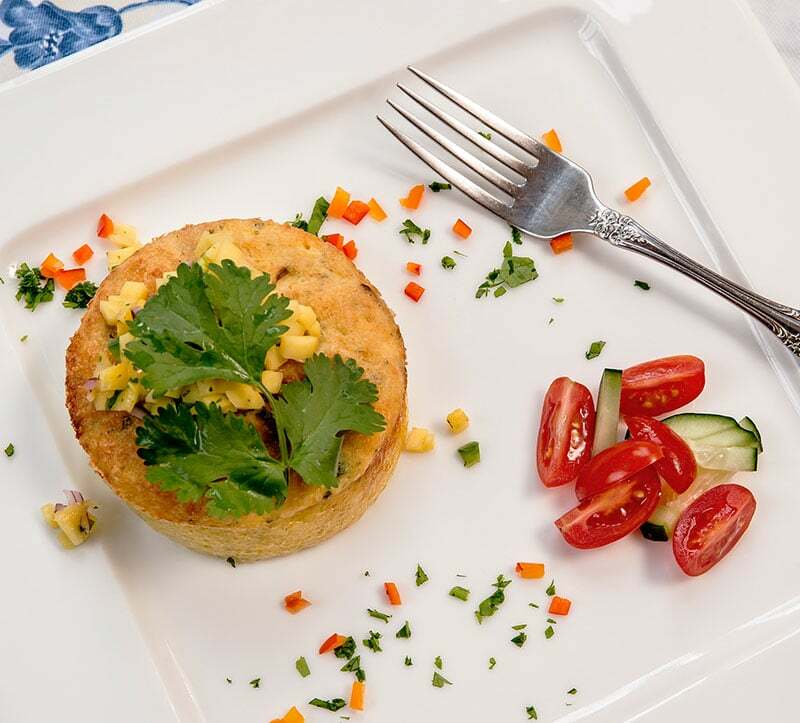 In fact, after enjoying breakfast with us, many guests ask us for our recipes. 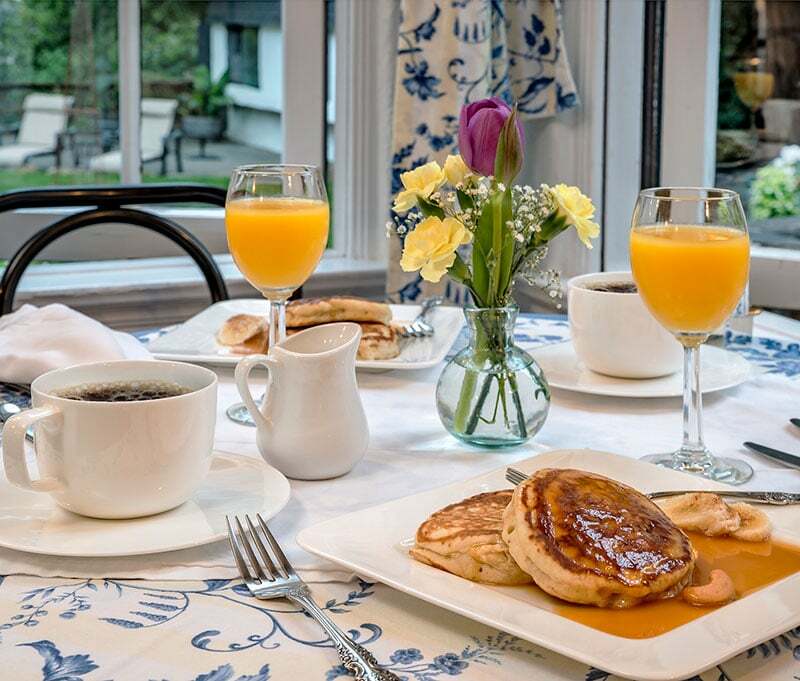 Below, you’ll find recipes for some of our most popular breakfast dishes served at the Inn. Bon Appétit!